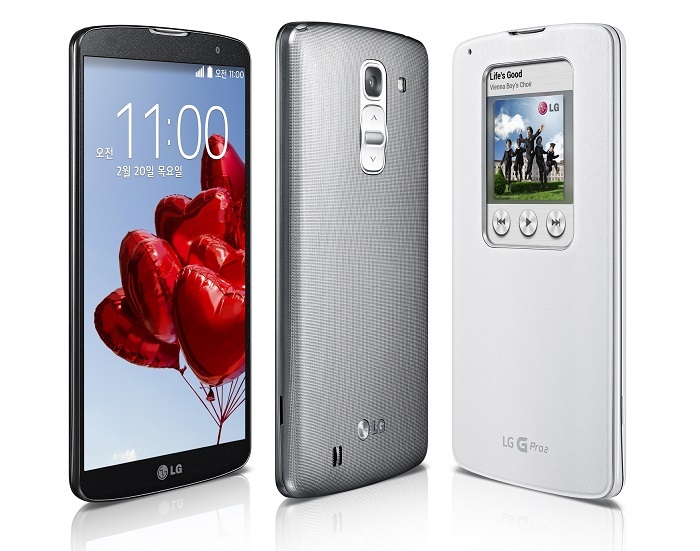 LG G Pro 2 has seen its fair share of rumors in the past few weeks. The handset was even confirmed by the folks at LG, and they even confirmed some of its specifications. Earlier this week, it was reported that LG has sent out press invites to media in Korea for an event on 13th February where they could launch the LG G Pro 2, and it turns out to be correct. 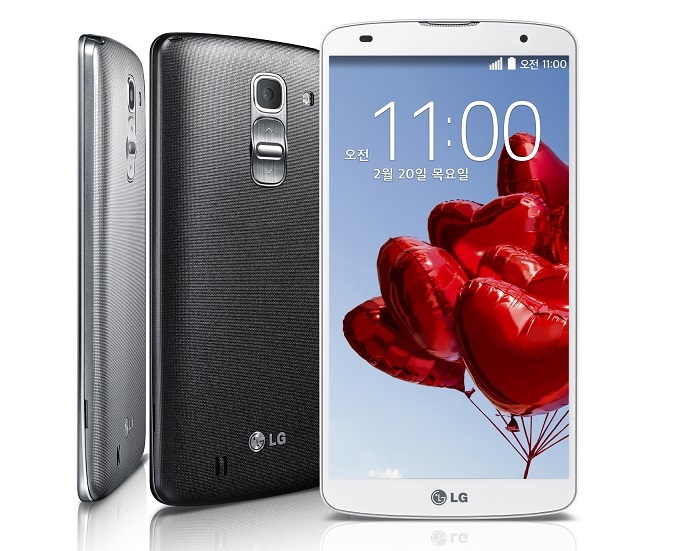 LG has taken the wraps off LG G Pro 2 featuring a gigantic 5.9-inch Full HD IPS display boasting a resolution of 1920 x 1080 pixels with extremely thin bezels of 3.3mm. The handset measures 157.9 x 81.9 x 8.3mm and weighs only 172 grams. Under the hood, the phablet is powered by a quad-core Qualcomm Snapdragon 800 SoC clocked at 2.3GHz with Adreno 330 GPU and 3GB of RAM on board. Other features include Bluetooth 4.0), USB, WiFi 802.11 a/b/g/n/ac, NFC and runs Android 4.4 KitKat pre-installed out of the box. To make sure there’s enough juice for this monstrous device, there’s a 3,200 mAh removable battery. Another interesting feature is a Knock Code that give users the ability to power on or unlock their device by tapping on the display using a specific combination. Surprisingly, it can be entered on any area on the screen, no matter if it’s turned on or not. “Knock Code is an example of LG bringing simpler, more convenient solutions to consumers’ mobile lives. Whereas in the early years of smartphones it was a contest to see how many features could be stuffed into the phones, our researchers took a long, hard look at how consumers were really using their devices in their daily lives and included just the most useful UX features. We think customers will agree,” said Dr. Jong-seok Park, president and CEO of LG Electronics Mobile Communications Company. The handset will hit retail in black and white colors, and will be available only go on sale in Korea at the moment. There’s no word about the global availability of the device, nor its pricing, but it will be available at the LG Booth on the Mobile World Congress for those who want to take a look at it.